Hailed as the most complete nutritious food available, goats milk, particularly in its raw state, is packed with vitamins, minerals, proteins, and phyto-nutrients that are incredibly good for humans and other animals. Even in its pasteurized state, it has plenty of wonderful properties – and it tastes pretty good, too. So read on to learn exactly why you should make the switch from cow to goat. Let’s take a look at the main benefits associated with goat milk for humans and pets alike. There’s plenty to know about goats milk. 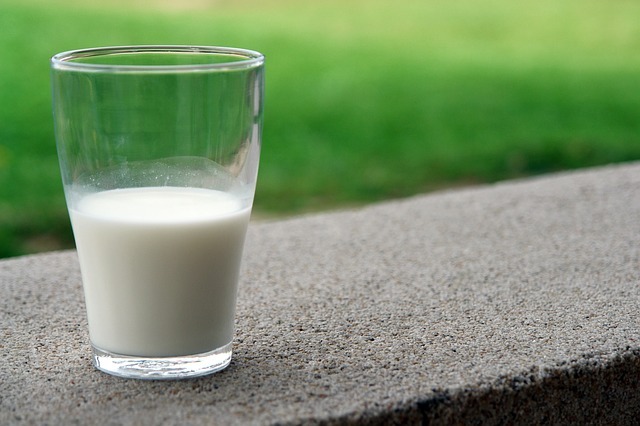 Many people – and pets – suffer from allergic reactions to regular cows milk and soya milk. This is due to the presence of allergenic proteins such as alpha-S1 caesin. Milk from goats doesn’t contain these proteins, so allergic reactions are less likely. However, it does contain beta-lactoglobulin, which is also present in cows milk, so there’s still some chance of an allergic reaction. When milk of any form hits your stomach, it reacts with your stomach acid and forms protein lumps, known as curds. Goats milk forms softer curds that are considerably easier to digest, which allows for faster absorption of nutrients and can help to reduce symptoms of GER or gastroesophageal reflux. The higher proportion of short and medium-chain fatty acids in goats milk allows for faster and gentler digestion. While there’s only a 0.6-percent difference in the lactose content of goat and cow milk, goat milk has the lower number and this, in conjunction with easier digestibility and the lack of allergenic proteins frequently means that those who suffer from dairy intolerance can consume goat milk-based products without any ill effects. Who Can Safely Consume Goat Milk? Pretty much anyone can switch to goat milk. While you may still suffer from an intolerance, many users state that they don’t experience any signs of allergies, or their symptoms are significantly reduced. It’s a great choice for anyone who suffers from poor digestion and is known to alleviate symptoms associated with GER and IBS. Advice differs significantly on using raw goats milk for babies. Generally, it’s not recommended for babies under one year without direction from a pediatrician. Having said that, many parents claim that babies who struggle to digest cows milk and exhibit signs of abdominal discomfort, diarrhea, bloating, and rashes thrive on goats milk or a goat milk-based formula. Because this type of milk has far lower concentrations of folic acid, it’s important to purchase a brand that has added folic acid. Also be sure to buy a brand that is certified free from bovine growth hormone and medications such as antibiotics to ensure you aren’t giving your baby anything that could potentially harm them. Whether you’re buying for yourself, your pet, or your baby, this is the better option, as you don’t want any of that nasty artificial residue getting into your body. You can also try powdered goat milk for babies and some have used organic goat milk baby formula. Raw goats milk is of the biggest nutritional benefit for dogs. Dogs who duffer from poor digestion, frequent loose bowels, sickness, colitis, and other digestive issues generally experience significant relief from goats milk due to the high levels of natural probiotics and its easily digestible nature. The probiotcs in goat milk are absorbed and get to work in as little as 20 minutes and it’s gentle on the tummy. The large quantity of nutrients and phyto-nutrients in goats milk and the high absorption rate boosts your dog’s immune system and, as part of a balanced, nutritious diet, helps to keep them in tip-top condition. Raw goats milk for dogs helps to alleviate or eliminate allergies and their uncomfortable symptoms, such as incessant scratching. Relief of inflammation, joint pain, and other arthritic symptoms is another big benefit for dogs and cats. So, goat milk health benefits are for almost everyone. It has the potential to alleviate a variety of complaints for humans and our four-legged companions. Ideally, if you’re making the switch, go for organic, free-range, milk with no BGH or antibiotics. Not only is it better for you, the goats, and the environment, it tastes better, too. Happy, healthy goats produce richer, healthier, more nutritious milk. When looking at goat milk vs cow milk, the goat comes out on top. It’s closer in composition to human milk and has an array of benefits. So ditch the cows milk and see if you notice the difference in your general health. Put your animal farm in an electric net, check www.electricnetting.com.au .